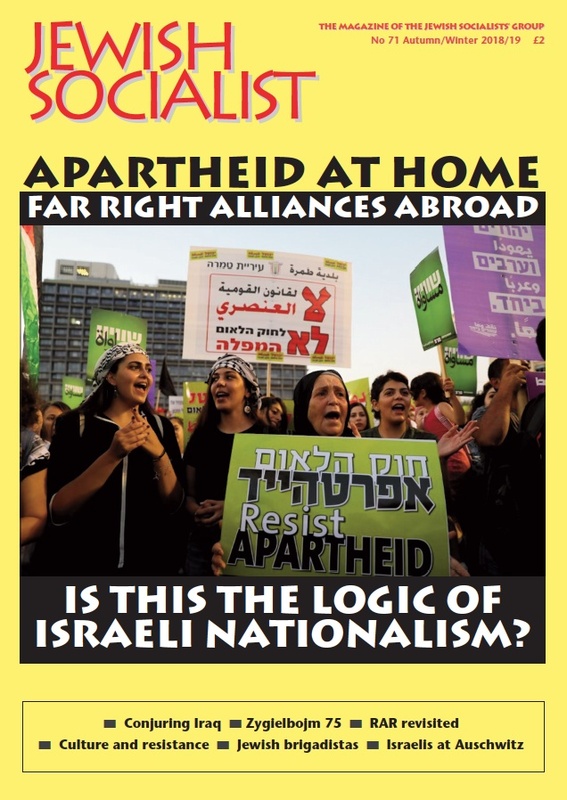 The Jewish Socialists' Group expresses its serious concern at the rise of antisemitism, especially under extreme right wing governments in central and Eastern Europe, in America under Donald Trump’s Presidency and here in Britain under Theresa May’s premiership. The recent extensive survey by the highly respected Jewish Policy Research confirmed that the main repository of antisemitic views in Britain is among supporters of the Conservative Party and UKIP. This political context, alongside declining support for the Tories, reveals the malicious intent behind the the latest flimsy accusations of antisemitism against Jeremy Corbyn and the Labour Party. These accusations have come from the unrepresentative Board of Deputies and the unelected, self-proclaimed “Jewish Leadership Council”, two bodies dominated by supporters of the Tory Party. Between now and the local elections the Tories would love to divert the electorate on to accusations of antisemitism against the Labour Party rather than have us discussing austerity, cuts to local authority budgets, the health service, and social care. Many Jews within and beyond the Labour Party are suffering from these policies along with the rest of the population, and oppose them vehemently. Jonathan Arkush, the President of the Board of Deputies, was one of the first to congratulate Donald Trump on his election as President of the United States on behalf of the Board. This action was harshly criticised by many Jews he claims that the Board represents. He also gives unqualified support to Israel’s pro-settler Prime Minister, Benjamin Netanyahu, who enjoys good relations with the very far right political forces in Hungary, Poland and the Czech Republic who are fanning bigotry against minorities, including Jews. Until very recently the Jewish Leadership Council was chaired by Sir Mick Davies, who was appointed Tory Party treasurer in February 2016 and is now the Chief Executive of the Conservative Party. 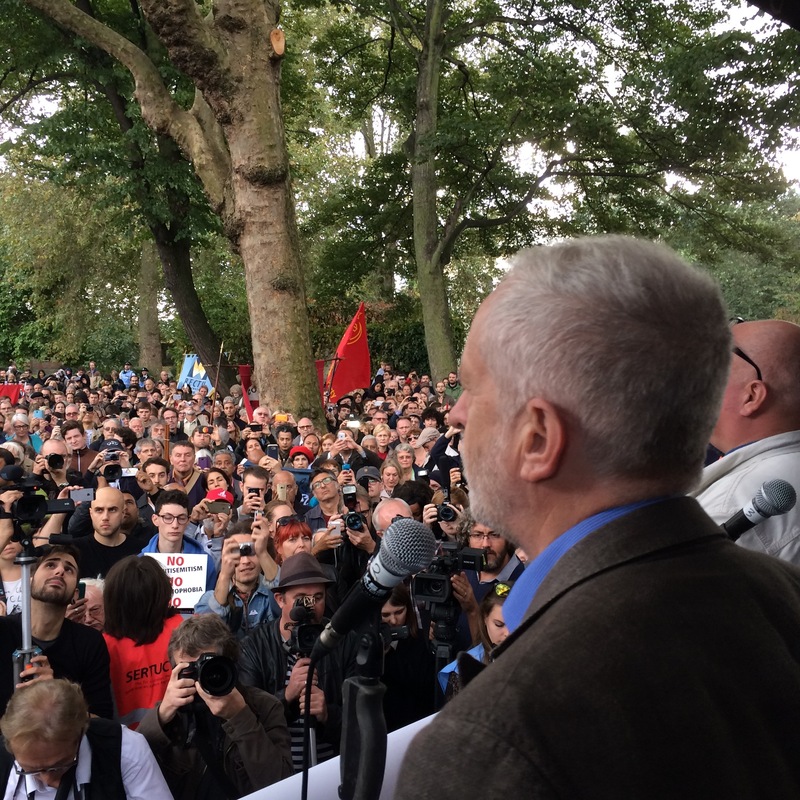 The Jewish Socialists’ Group includes many members of the Labour party, and we know many Jews who have joined or re-joined the Labour party enthused by the progressive leadership of Jeremy Corbyn. Labour is the party that brought in anti-discrimination legislation at a time when many Tory members were open supporters of and investors in apartheid South Africa. The Tories are the party that have dished out the harshest treatment to migrants and refugees, especially when Theresa May was Home Secretary. Shamefully, they are still refusing to accede to the proposal of Labour peer, Lord Dubs, who came to Britain as a Jewish refugee on the Kindertransport, to take in a small but significant number of unaccompanied child refugees from Syria. We have worked alongside Jeremy Corbyn in campaigns against all forms of racism and bigotry, including antisemitism, for many years, and we have faith that a Labour government led by Jeremy Corbyn and Labour-led councils across the country, will be best placed to implement serious measures against all forms of racism, discrimination and bigotry.